Uniquely different, Lendy's New York Style Deli promises food enthusiasts a truly enjoyable New York Style Deli experience just north of Boston. 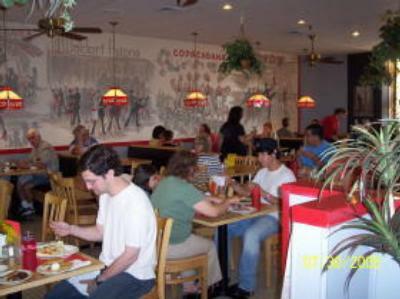 Lendy's is a place where the people you meet are as flavorful as the food we serve. Husband and wife team Leonard and Linda have dedicated 20 years to provide their customers homemade foods that are prepared fresh daily. The recipes for roast brisket, chopped liver, and chicken soup all came from Linda's mother. We cook our corned beef the old fashioned way. Everything is prepared by hand. We offer a huge selection of sandwiches, soups, matzo balls, lox, eggs, omelettes and many old world favorites. We are proud of our management team, headed by Linda Niles, who keeps the restaurant running smoothly. Meats from our deli can be ordered by the pound so you can enjoy a Lendy's sandwich at home. 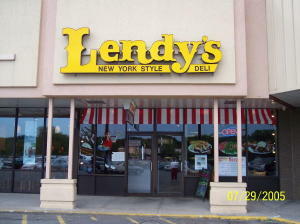 Or if your having a function, Lendy's can prepare deli trays, salads and more for your gathering.